American Empire I: Did the American Revolution Trigger World War I? In a conversation yesterday on World War I, my good friend Jim E. suggested an astonishing but thought-provoking thesis: that the anti-monarchist American Revolution of 1776-1781 precipitated a century-long anti-monarchist trend which led to Kaiser-dominated Germany facing off against the democratic Allies of France and Britain. Jim also recounted the various secret machinations both sides went through to undermine their opponents: Germany supported the anti-czar Lenin and anti-British forces in Ireland and Africa, and even went so far as to prod Mexico to consider invading the U.S. The Allies of course had their own intelligence forces at work around the globe, including Lawrence of Arabia, whose job was to foment revolution in the Ottoman Empire, an ally of Germany. None of this was known to the general public on either side. Propaganda reigned supreme, with each side demonizing the other to flog the populace into continuing sacrifices of life and treasure. Two other forces were at work, undermining monarchy beneath the surface: literacy and communication. The American Civil War was the first modern war in the terms of railway logistics, ironclad warships and many other innovations, but it was also the first modern war in the sense that the majority or participants knew how to read and there were newspapers and telegraphs to insure rapid and wide dissemination of war news. The first imperative of any dictatorship/monarchy is to control the flow of news and ideas. A literate, well-informed populace is the natural enemy of monarchy and dictatorship, as Hitler well understood. After its brief, aborted lurch into democracy (recall that Hitler gained power via a free election), Germany renewed its love affair with dictatorship and centralized power, as did Japan. Just as the American Revolution set the stage for World War I, WWI set the stage for World War II. With the complete and total defeat of both Axis powers, monarchy in the West was finally destroyed as a political and cultural force. The American Civil War played a role in World War I as well. On one level, the war was about slavery, the deep, unanswered conflict papered over by the Constitutional Convention. But on another level, it resolved the lingering conflict between states rights and the Federal, centralized government. The modern state capable of global reach and war is by nature centralized. Only by mobilizing an entire modern economy can any nation project power and protect the trading lanes and outposts which generate most of any global economy's net profits. Before the American Revolution, every major government in the world was a monarchy. Afterward, European powers were drawn to dismantle or limit monarchies one way or the other; France convulsed in multiple revolutions and swings from democracy to monarchy, while Russia went down the path of the "dictatorship of the proletariat." In this long view, the entire Cold War was a continuation of the long trend of democracy undermining and then replacing monarchy. The Soviet Union and Maoist China essentially lost the Cold War (along with North Vietnam and North Korea), and all but the latter have undergone slow, as yet incomplete transformations from dictatorships to more open societies and economies. Their transformation is still a work in progress. In this context, it is well to recall what Chou En-Lai replied when asked about the impact of the French Revolution: "It's too soon to say." In other words, from the long perspective of Chinese history, it was too soon to say in 1970 what the full outcome of the 1790s revolution would be. How will the American involvement play out in Iraq? It is definitely too soon to say. Recall that U.S. troops remain in Japan and Germany, 60 years after their defeat, largely to insure their neighbors that the former Axis Powers will never be allowed to slip back into fascism and aggression. As easy as it is to mock "nation building" and "democracy" in the chaos the U.S. has unleashed in Iraq, the genie is definitely out of the bottle in one supremely fundamental way: the media is gloriously, rampantly luxuriously free in Iraq. Let a thousand flowers bloom, indeed; by all accounts, newspapers and flyers arise and fade at a dizzying rate. With high literacy and a free press, Iraq is now under the sway of the long-term trend away from monarchy and dictatorship which has influenced every nation for the past 200+ years. In a peculiar way, Iran and Iraq may well be bound up in a very long-term, largely hidden process of moving away from monarchy and oligarchy toward more open, more deomocratic societies. In this, they are simply following the global trend which has already been in place for hundreds of years. We should also note that machinations don't work long-term. Supporting coups and terrorists never truly turn the tide back to monarchy and closed societies; at best they delay, at frightful cost, the inevitable. In this sense, the entire notion of "empire" becomes suspect. More on that tomorrow. Thank you, Reed H. ($20), for your generous donation in support of this humble site. I am greatly honored by your contribution and readership. All contributors are listed below in acknowledgement of my gratitude. Thank you, Cyril O. ($100), for your astoundingly generous donation in support of this humble site. I am greatly honored by your contribution and readership. All contributors are listed below in acknowledgement of my gratitude. We Told Ya So--But So What? I had to chuckle at the breathless February 4 BusinessWeek feature: The Economy: How Real Was the Prosperity? The Economy: How Real Was the Prosperity? How did a poor dumb writer like me (and many other bloggers) beat BusinessWeek's huge staff of professional journalists like a gong, getting the story they are just now addressing by over two years? Your answer, whatever it may be, says volumes about the pathetic cheerleading state of the mainstream financial media. What's even more stunning is that the BusinessWeek story ran charts which are eerily similar to charts you've seen on the Web for years--there's absolutely nothing new in the BW story except the tacit admission of journalistic incompetence that the "story" was ignored until events forced BW's hand. "Economic history is a never-ending series of episodes based on falsehoods and lies, not truths. It represents the path to big money. The object is to recognize the trend whose premise is false, ride that trend, and step off before it is discredited." Looking at the economy, the skeptic would wonder how the stock market could rally. That's where Mr. Soros steps in to remind us that traders aren't interested in the economy per se, they're interested in the trend. And there are various signals (stochastic cross, MACD extreme, widening Bollinger bands, etc.) which suggest the downward trend of the past few months may well reverse. For how long? Until the trend reverses. Of course the market could swoon once again and even retest the 11,500 level in the short-term. But this long-term chart suggests a primary trend reversal is becoming likely. It is frustrating to a fundamental analyst to be told the market has virtually no relation to reality or the truth; it should, it should! But alas, it doesn't. 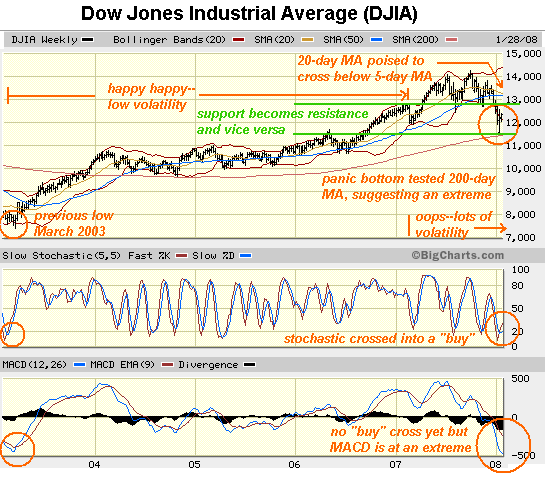 The economy stinks, but if the DJIA clears resistance around 12,800, it could conceivably hit a new high. Is that a prediction? No, just a way of saying the trend goes on until it reverses. As Mr. Soros put it: "The object is to recognize the trend whose premise is false, ride that trend, and step off before it is discredited." We would do well, I think, to ponder that, even if it runs counter to what we currently believe. Thank you, Kelly M. ($25), for your generous donation in support of this humble site. I am greatly honored by your contribution and readership. 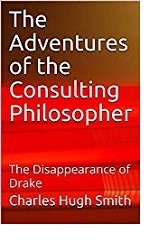 All contributors are listed below in acknowledgement of my gratitude. Thank you, Michael S. ($15), for your much-appreciated donation in support of this humble site. I am greatly honored by your contribution and readership. All contributors are listed below in acknowledgement of my gratitude. Are You On the TSA Watch List, Too? Does the U.S. need to harden its transportation, infrastructure and border security? No reasonable person would answer "no." So then the question becomes: how to you effectively do this, as opposed to ineffectively wsting a lot of money and staffing on essentially useless procedures? And that takes us to the Transportation Security Administration (TSA) Watch List. The TSA is tasked with airport security, which is why all the screeners at airports wear uniforms with "TSA" emblazoned on the back. While there are a number of disturbing reports about harmless/innocent travelers being harassed by TSA employees floating around the Web, I haven't personally encountered any such behavior. My focus today is not on abuse of travelers (certainly a valid topic) but on the absolute stupidity of the Watch List, of which I am a select member. Or maybe not so select. Apparently the List contains thousands of names, the vast majority of whom have absolutely no connection to terrorism--and there is not a scintilla of evidence which would justify their inclusion on a list of "potential threats" or "persons of interest" to U.S. intelligence and security agencies. Want to find out if you're on the TSA watch List? It's easy! Just try to print a boarding pass on your home computer. If you can't--after you've bought the ticket, and selected your seat, and clicked all the appropriate buttons--then guess what: you're on the Watch List! Or more precisely, your name is on the Watch List. I first discovered my inclusion on the Watch List last summer when I couldn't print a boarding pass at home, or at the airport kiosk. This was confirmed on my flight to Honolulu on 1/16/08, as I was left cooling my heels for 45 minutes while various airline employees tried to clear me to fly. How idiotic is the Watch List? 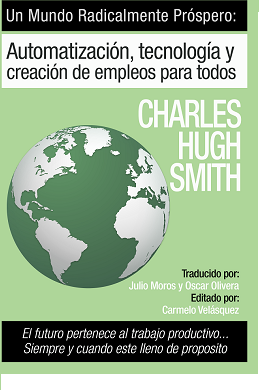 If you have a common name like Charles Smith, very. 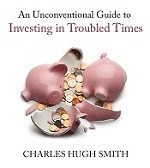 It seems the way the List is compiled is this: somebody somewhere (who gets to add you to the List is shadowy/obscure, as is why you've been added) decides that a certain "Charles Smith" (for example) is somebody the TSA better keep an eye on. So the TSA basically puts every "Charles Smith" in the nation on the Watch List (or every "Charles H. Smith"). Busy airport employees are then tasked with scanning hundreds of "Charles Smiths" to see if you're the bad guy or if you're cleared or if you're apparently not the bad guy. 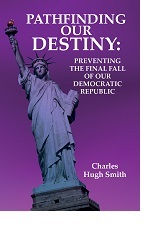 How hard would it be to finger "Charles Hugh Smith" or "Charles Frederick Smith" born on such and such a day? Once you toss in a middle name and birth date, you eliminate about 99% of all "Charles Smiths" or even "Charles H. Smiths". How could any system which tags hundreds of people who happen to share a common name be considered efficient or useful? From what I can gather, this Watch List must be cluttered with thousands of names of people who will be needlessly delayed at airports simply because they happen to have common names such as Sanchez or Brown or Chang. If some security agency has fingered an individual as a potential threat to national security, can't they at least I.D. him correctly? Even if the guy is using aliases, then can't they get his various names and birth dates right? If you can't find out any more about a suspect than his name is "Charles Smith," then do you really have sufficient evidence to start tracking every "Charles Smith"? Or do you in fact just have shoddy law enforcement and intelligence work being passed off as "protecting the nation"? Exactly how does such an idiotic system add even a speck of "security" to the nation's airports? This one example then suggests a further question: how many other of the security measures being overseen by the vast, sprawling Homeland Security bureaucracy are equally useless in terms of security? How many are needlessly annoying to the citizenry and stupendous wastes of tax money? Being on the Watch List raises other questions, too. For instance: which "Charles Smith" is considered such a security risk that he must be screened before flying commercial aircraft? And what evidence fingers him as a security threat to the nation? Has he frequented a church preaching hatred of the U.S.A.? Has C-4 explosive been traced to him? Has he flown to Islamabad and disappeared into the Pakistani hinterlands for long stretches? In other words, has he exhibited any behavior which links him to known terrorist groups or threatening activities such as acquisition of illegal high explosives? Or is he just some poor schmuck who ran afoul of some bureaucrat somewhere, or some guy who a malevolent person secretly reported as "suspicious" to some acquaintance in a security or law enforcement agency? I mean, how likely is it that some guy named "Charles Smith" is involved in terrorist activities? 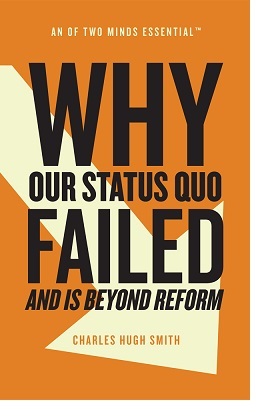 I have to admit a great curiosity about which "Charles Smith" has caused hundreds of the rest of us "Charles Smiths" to become suspects of interest, and what precisely has he done to warrant the interest of our nation's vast security agencies. Domestic terror leanings, perhaps? Hatred of the IRS? Who knows? If standing around in front of the airline counter for 45 minutes while various employees work on clearing you to fly doesn't give you pause, well, try it some time and see how it feels. In the big picture, of course, it's a small delay, and no big deal; if it actually added to the security of the nation or the flight you're about to board, such a delay would be well worth it. But it seemed instead like a totally useless expenditure of airline employees and passengers time, a system designed to waste time and create needless anxiety in completely innocent passengers. If you're really a security risk, then you're on the "No Fly" List. Once you get on this List, you will not be issued a boarding pass under any circumstances, except perhaps with clearance from TSA in Washington. So if the security forces tasked with protecting the citizenry already have a list for known "bad guys" considered serious risks (the No Fly List), then what the heck is the Watch List for except harassment and the churning of millions of records? Somebody's making money processing all these "Watch List" records, to be sure, but their activities don't seem to be adding to the nation's security. And it certainly doesn't take much of this nonsense to make you wonder if Homeland Security has any business maintaining such a flimsy, nonsensical Watch List in the first place. I will be away on family matters from Jan. 16 - 24. I apologize for the lack of new posts in this period, and invite you to explore the voluminous archives on this site: forbidden stories, 2007 archives, Recommended Books/Films, and even the first chapters of a young-adult adventure novel, Claire's Great Adventure. I am sorry, but I will be unable to reply to email until I return. Everywhere you turn, the pundits' predictions are unanimously for "much lower interest rates." Aren't you a little skeptical of any "received wisdom" on which the pundits all agree? I certainly am, as history has time and again thumbed its nose at collective certainty by swerving in the exact opposite direction of what was unanimously predicted as a "sure bet." Low interest rates are supposed to calm the recessionary waters by invigorating the sagging housing market. Sure, lower rates make everything from corporate debt to new auto loans cheaper to service--but the real impact, we're told, will be on housing. Why? Two reasons. First, the family house is the bedrock of 2/3 of the nation's families' wealth--and the key metric in their perception of overall family wealth (up, down, neutral). Second, the last seven years of "prosperity" have been ones of equity expansion (rising stock market and home equity) and equity extraction (re-financing/equity lines of credit). If lower rates can re-ignite housing sales, the hope is that home prices will at least stabilize or perhaps even start rising again. In an economy where 70% of GDP is consumer driven, does anyone actually believe that lowering the cost of corporate borrowing will pull the economy out of recession? So lower mortgage and interest rates are seen as the essential foundation of continued consumer borrowing and the reinvigoration of the consumer's primary asset, their home. Nice, but what if rates don't stay low, but actually start rising? The key point is simple: the U.S. has been able to fund stupendous government deficits and a cheap/easy-money fueled housing bubble because non-U.S. banks and investors were piling up mountains of dollar-based exporting profits and petro-dollars which they needed to invest somewhere. Trillions of these profits flowed into U.S. bonds and debt-based securities (mortgage-backed securities, etc. ), enabling cheap, easy-to-get loans and mortgages. 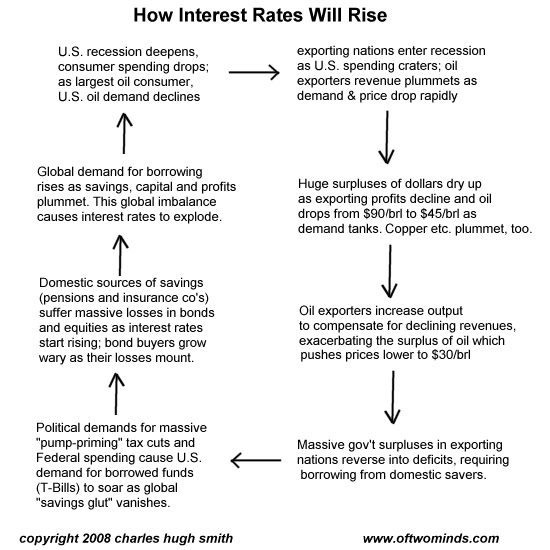 So what happens of a global recession knocks down both the profits made by exporting to the U.S., and the demand for oil? Then the pool of hundreds of billions in dollars looking for a home dries up in astonishingly short order. As exporting nations slip into recession and deficit spending, they will tap the savings and capital of their own citizens. The way to do this is raise interest rates. The pool of savings available to the profligate U.S. will dwindle, forcing the U.S. to bid for the shrinking pool of global savings. The only way to secure funding will be to raise the rates of return being paid to savers--i.e., interest rates will rise. Two other forces will exacerbate this trend. As revenues drop along with the price of crude oil, oil exporters will pump even more product to compensate for lower revenues. This will depress prices further, pressuring exporters to pump more, and so on. Secondly, as the global recession depresses corporate profits, global stock markets will tank, erasing trillions in capital. As interest rates rise, the value of existing bonds drops, too, setting up a one-two punch to pension funds, insurance company holdings, and individuals' retirement accounts. The global pool of capital will shrink, along with profits, reserves and savings. All of this seems commonsensical, but we are told again and again that global savings are so robust that rates will stay low for years or even generations. What the pundits overlook is this: those savings are a result of an uprecedented global boom which is now ending. Once the boom dissipates, the profits and savings vanish along with it-- and so does all the cheap money which fueled the boom. Thank you, Cheryl A. ($50), for your amazing donation in support of this humble site. I am greatly honored by your ongoing contributions and readership, and by your suggestions for topics. Does It Really Matter What Currency You Own? Is the trick to preserving purchasing power to put your money in a currency other than the dollar? Perhaps; but as frequent contributor Harun I. reveals, that's certainly not true of the globe's two other major currencies, the euro and the yen. "The latest talk seems to revolve around which currency one should own. I have gone over this ad nauseam but to no avail. 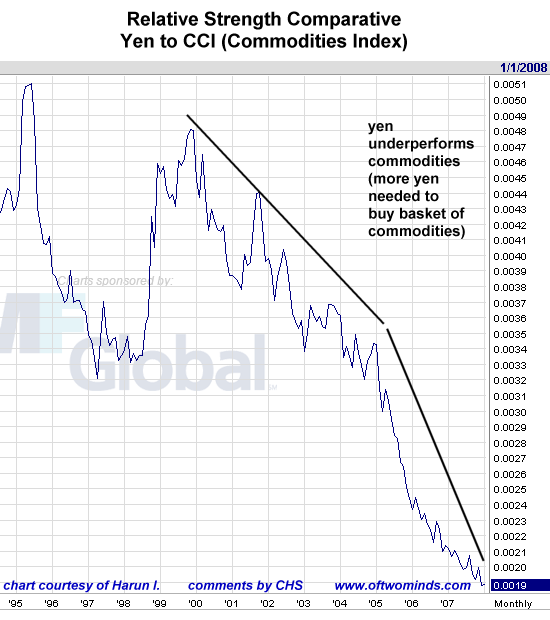 Against the basket of commodities (you know, the stuff we must consume to live) know as the Continuous Commodity Index (CCI) the major components of the USD index, the Yen and the Euro, are tanking in purchasing power at the same rate as the Dollar. What this means for the fiat currency system will only be know as a matter of history but the charts suggest it may not be good. 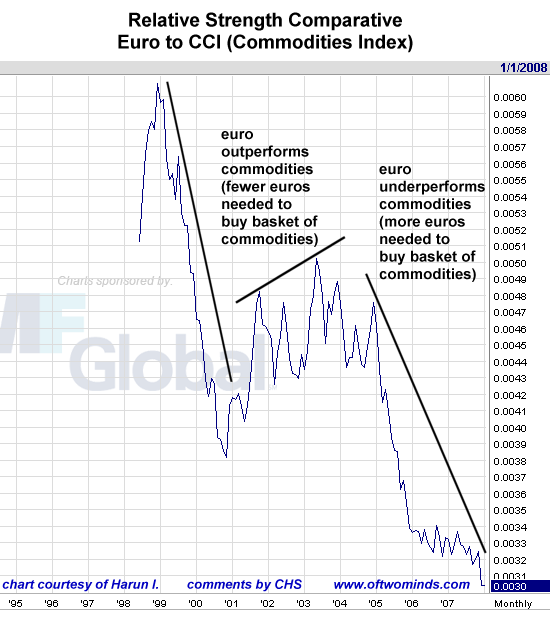 What the charts are basically saying is that, in real terms, as long as commodities are priced in dollars it does not matter which currency one owns. I guess the one glimmer of hope is that under-performance leads to out-performance, but against a rising tide of unserviceable debt hope may remain just a glimmer." Is there anything on the horizon which could change the trend? How about a global recession and some decent weather in grain-growing areas? As I have suggested here before, I foresee a recession of such depth, magnitude and speed that oil demand will fall so hard and fast that there will be a global surplus of oil, causing prices to plummet in half or perhaps even 2/3 back to $30/barrel. Grain supplies have been stretched by rising demand and extremes of weather/low yields. Perhaps demand for meat won't drop much in the U.S., but as workers get laid off by the thousands in developing nations, those families will be eating less meat, cutting demand for grain. Toss in a bumper crop here and there, and wheat could fall from $10/bushel to $2/bushel in a relatively short period of time. If China slows its hyper-active building after the August 2008 Olympics, the demand for cement, steel and copper could drop enough to send prices spiraling downward. As the price of gasoline plummets along with global demand for oil, ethenol won't be seen as such a panacea, and corn could suddenly be in surplus again, forcing prices down. Just to widen the speculation to currencies, consider what would happen if any one currency were perceived to be "safer" than the others. What currency that might be--the yuan, the yen, the euro or the dollar--depends on just how roiled the global financial markets become, and which central bank is debasing their currency less than the rest. Severe social disruption could also quickly undermine the perception of a currency's value; indeed, the survival of the euro itself will become doubtful if the great central bank divide between Germany and Everyone Else widens. Or perhaps commodities will slowly begin to be priced in ounces of gold. Once the Emperor (fiat money) has been revealed as naked, then perhaps some nation somewhere will demand a currency which isn't constantly losing purchasing power. That currency would rise, perhaps with amazing speed, as it becomes seen as a relatively secure store of value which is actually outperforming commodities and other currencies. 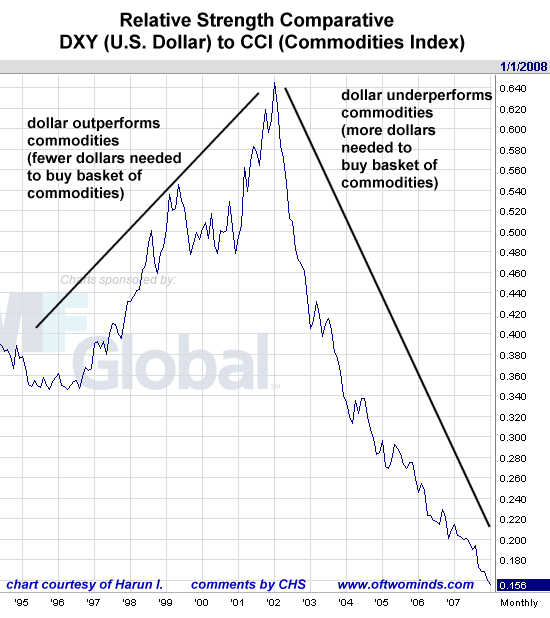 Could a "flight to safety" cause the dollar to reverse course and actually outperform falling commodities? Or could the yuan, euro or yen become a "flight to safety" currency? The cliche is that when the U.S. sneezes, the rest of the world catches cold. Perhaps the major currencies will soon reflect the relative fragility of each currency's home economy; if so, whatever economy suffers the least social turmoil and wealth destruction may be rewarded with a currency which actually outperforms sagging commodities. Or maybe the "commodity-super-cycle" adherents are correct, and global demand will barely be dented by a massive, deep, long U.S. recession. Maybe gold will continue its climb to $3,000/ounce and the dollar will continue its depreciation to near worthlessness. Maybe, but the premise that 75% of the global economy (non-U.S. economies) will be utterly unscathed by the sharp decline of the other 25% (the U.S. economy)--this makes little sense when you you look at the huge surpluses the rest of the world runs with the U.S. If U.S. spending tanks, how can that not affect those who have profited from, and indeed, grown to depend on, exports to the U.S.? And if the exporting nations are actually more vulnerable than they seem, then who can say with any degree of certainty that commodites will continue to outperform all currencies? Could one currency suddenly outperform both the other currencies and commodities? As unlikely as it seems at the moment, we should be open to the possibility. Readers Journal has been updated! Check out all the new opinions and reports. This is another banner week of thoughtful, provocative (and even some zany) ideas. "FYI regarding the air traffic controller strike. My father was an air traffic controller at Boeing Field in Seattle when he retired, just a short time before the strike. He was an air traffic controller in the Air Force in WWII helping the planes over the Hump in China. I remember him sleeping for 8 hours after a shift and then returning to work for another 8 hours. There were not enough controllers hired for the work at hand. There was no radar, and he prefered it that way. All lights, and radio and Sea Tac control tower radar if they needed it. They were interested in some sort of help, but a union was not an option then. The FAA wanted them to buy their own uniforms, but they refused and wore white shirts and ties instead. They were constantly asking for more help, but there was no relief. Wages were not very high. Here's my point on the strike issue. Air traffic controllers were essentially still part of our armed forces under the FAA. What would happen if our armed forces personnel went on strike? They can't. Our defenses would be put at risk. When the Cuban missile crisis occured, they gave the control tower a Red Phone to the White House. My dad also got a rad meter and a sign to put in the front windshield of his 1952 Nash Statesman that said "Air Traffic Controller must get to control tower". Reagan could not allow a strike because our national defense would be at risk. Therefore, they were replaced. I believe this action sent an unintended message to some businesses that they could do the same, and therefore bust some of the smaller unions around the U.S. Hope this was of interest. PS. I was a musician in Vegas Showrooms until our Union Local #369 was busted in the late 80's. " Thank you, Harun, Ron and all the other contributors to Readers Journal for your thought-provoking commentaries. Thank you, Kevin L. ($25), for your much-appreciated donation in support of this humble site. I am greatly honored by your contribution and readership. All contributors are listed below in acknowledgement of my gratitude. Every time I read about the big bucks other sites are pulling in from advertising, I get jealous. Why am I so stupid? Who cares whether there's ads here or not? Why bother with dumb "ideals" when I could be pulling in thousands a month? Then I drop all scruples, honor and my most closely held values and accept a big fat ad. So please welcome our big-bucks sponsor, "Whine" magazine. Thank you, Tanya Z. ($50), for your very generous and much-appreciated donation in support of this humble site. I am greatly honored by your contribution and readership. All contributors are listed below in acknowledgement of my gratitude. Been thinking of contributing, but don't think your few bucks would matter? Hey, it's just you and me here; we don't have any big-bucks advertisers or sponsors. Believe me, it matters; you are it. Without your support, this thing's a tumbleweed blowing aimlessly along in the zephyrs of the Web. What Are the Risks of Hyper-Inflation? More than a few citizens are worried about the possibilty of a hyper-inflationary cycle taking hold in the U.S.--a cycles which would impoverish everyone. Thank you for your most recent submission on Inflation/Deflation and Purchasing Power. I have been a loyal reader of your site for about the past year, and while always interested in your commentaries on the markets in particular, was moved to make a comment for the first time. I too have been sucked into too many expert opinions on whether we will experience I nflation/Deflation or some other esoteric academic iteration or combination of the two. If one looks one can find the concept hotly debated on the web ad nausem (not to imply criticism of the web as at least we can enter into the debate, unlike with mainstream media). Alternatively one can read the commentary of experts (economists and the like) and be swayed back an forth by one side or another. For a time I became captivated and obsessed with learning the answer to the question. Your submission has clarified and simplified the problem for me. 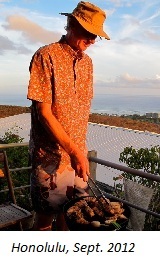 However I cannot help thinking that there are still practical realities and impacts to me as an individual investor – depending on whether we experience hyper inflation generally, or a general decline in the cost of housing, consumable products, etc. brought about by an oversupply and a lack of demand (essentially because the spending mania has or will soon end). sold my house 18 months ago, rented a condo, invested one half of the equity in safe interest bearing vehicles and the other half in Gold and Oil/Gas investments. I am also a Canadian and we are fortunate that our currency has done well relative to the rest of the world – at least of late. So far so good. For perhaps many more individuals – who perhaps have not planned ahead, I fear that there will be a significant and continual loss of purchasing power. Am I worried that my equity investments are susceptible to a potential deflationary spiral? Yes. The reason is that less purchasing power in the population generally, means less aggregate spending. Less spending means less demand for goods. Less demand means overcapacity. Overcapacity means lower prices. Eventually less demand for goods and services in general (and agreed not for everything like healthcare, gas, food, etc. ), will mean lower corporate profits. Lower corporate profits means lower stock market prices, fewer jobs, etc. One could then make the argument for a downward spiral ala Japan. If that is the consequence then my purchasing power has been negatively impacted if I do not prepare accordingly (e.g. increase the cash component). One often reads that Bernake, as any good Central Banker would, fears “deflation”, and will flood the “system” with money thereby forestalling deflation but as a necessary consequence, will cause prices to increase (agreed the incorrect definition of inflation). Nobody has properly defined what “flooding the system with money” actually means. At least not to me. How does this money get into the hands of the debt satiated consumer who apparently is a key ingredient of the economy (to the tune of about 70% of GDP)? Is it simply as easy as offering 1 % interest rates to the masses? Of course the deflationists take up the argument and say that you can lead a horse to water but you can’t make him drink (in other words lower rates and more and easy credit will not induce more spending) when (1) banks are not willing participants, (2) credit is “maxed out”, and (3) people suddenly “get” that it makes sense to save. But what if the hyper-inflationists are right, and one last time the masses are granted this easy money and they in turn drive up the price of all goods. Not just gas, food and healthcare (that are clearly going there anyway) but stocks, Chinese made electronics, and perhaps even Real Estate once again? 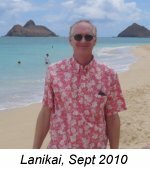 While I am confident that the value of my gold and gold stocks will appreciate at an even greater rate than general prices, I still have to prepare in a different way for this consequence, do I not? (e.g. decrease my cash component). There are no easy answers, but at least you are bringing the debate down (from the lofty academic level) to the practical and individual level. I hope that you will continue the debate this topic in light of my questions and confusion - which I am sure is shared by many. Perhaps it can be boiled down to one simple question. While the impact of whatever happens (inflation or deflation) is a function of each individual’s circumstances, is it not true that what happens to the general population (ie either a mass loss of purchasing power, or an illusionary increase in purchasing power through dollar devaluation) will in turn impact the individual investor and how they should plan?" Excellent point. Scott. A cycle of hyper-inflation or deflation will certainly affect individual investors. I believe the following simple chart definitively answers the question of just how likely hyper-inflation might be. The question this chart poses is this: would The Powers That Be who own the vast majority of the nation's wealth and influence its policies allow those policies to effectively destroy their wealth? I think it is very safe to say the answer is "no." Next, think about the banks. Let's say a bank has a $200,000 mortgage on a home and is making a nice safe return on that mortgage. Now let's say hyper-inflation explodes and the owner is "earning" $100,000 a month, soon to be $200,000/month. The owner peels off 10% of his pay and in a few months the mortgage is paid off. In terms of purchasing power, the bank received peanuts for what was once a substantial store of value. If you're the banker, how can you make money in a hyper-inflationary cycle? Whatever money you loan today drops precipitously in value tomorrow, and so on, to near-zero. The top 1% do own fixed assets, of course, just like the rest of us, and they are of course diversified around the globe. But their U.S. liquid assets would be rendered worthless by hyper-inflation. Why would they allow that cycle to take hold? Finally, consider their position in a deflationary environment. Things are looking quite cheery for the super-wealthy in a deflationary cycle. All their liquid assets buy more real assets every month. Yes, perhaps there are another 30-40 million debt serfs struggling to make ends meet below them, but the poor have always been present and it hasn't really affected their wealth. So which cycle serves the top 1%? The answer to that question is not hyper-inflation. Therefore policies will not enable, support or allow a hyper-inflationary cycle to take hold. It might be argued the policymakers are playing with a fire they don't understand; but my entire point is those who hold the nation's wealth do understand that fire, and they will never allow it to flare into a conflagration which destroys much of their wealth. Thank you, Renee S.-J. ($10), for your fifth donation in support of this humble site. I am greatly honored by your ongoing contribution and readership. All contributors are listed below in acknowledgement of my gratitude. Reader M.G. sent me a link to a web-based cartoon site which declared a fund-raising goal of $20,000 for the year. A wealthy patron promptly sent in $20,000 in the first week. So wealthy patrons of this site (if any), how about doing the same for this site? Heck, $10,000 would meet my goals for the year. After all, I am not a talented cartoonist, just a poor dumb scribbler. So if $10K is a trivial amount to you, why not give a tip to the poor dumb writer? Now that 25 years of high growth and benign inflation appears to be ending, the term stagflation--stagnant economic growth coupled with stubborn inflation--is once again in the news. Dressed in his best Sunday suit, Fausto Cepponi took his wife and seven-year-old son out for dinner -- at a soup kitchen. With salaries on hold, prices for staples such as pasta and bread rising and mortgages soaring, efforts to keep up appearances -- ``fare la bella figura'' in Italian -- can no longer disguise that thousands of job-holding Italians are failing to make ends meet. 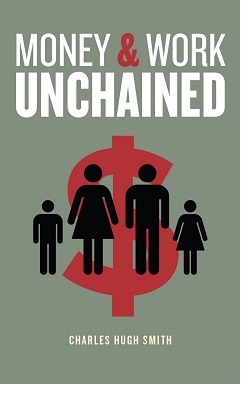 They've been labeled ``The New Poor,'' the title of a book published this year. " The problem with inflation is that repricing of contracts (labor contract being one of them) is problematic unless you have leverage. Hence the writers strike and stagehands strikes (both have tremendous leverage). Inflation is in essense a gambit of attacking your costs by raising prices, assuming your own costs will rise but fall short of the net benefit between the two increases. Unfortunately for capital in this battle my guess is the writers will win out in the end. However that doesn't mean that labor won't lose out to capital in other areas. I personally think the coming bankruptcy of small cities and towns will make them merge and eliminate work force, ergo "civil servants" and those people will rejoin the world of the living. You think large corporations got great tax breaks before for shifting new businesses to one state or another, just wait. We will see deals of the century; I am sure offers of 99 years without taxation perhaps even decades of subsidy and tax free bonds financing. Ergo capital for capital that is intensive will become very very low cost but labor will be driven into a state of frenzy so high that it will force politicians to compete to placate it's plight. Imagine having a tough time buying food like the people in the story above and I am sure any wage where you can buy food will look good. That is what we call subsistance wage in one of my classes. Subsistance wage is where you cover your necessities but have no money at all for savings--just like the U.S. wage earner on average--many Americans now live paycheck to paycheck. Although some of us are thriftier and do choose to save, that choice will soon be gone for the majority. The wonderful point about subsistance wage is that is where the capital return is highest for capital. It might seem odd that everything is falling around us but if we think about it the world is making perfect sense. Assets are repricing because they are being sold off by those whom aren't capital holders. People who are laid off by the job cuts in banks etc will probably sell off any 401k they managed to bulk up to pay for the mortgage or daily expenses until they get a job. I would be very reluctant to go to a lower paying job until all my savings were gone too, or if I didn't live with my parents. Prices take a long time to adjust. The short end of the story is basically truckers in Italy stoped all traffic for about 3 days + with food shortages and store shelves going empty along with gas pumps, etc... To get higher wages ofcourse because their income hasn't kept pace with inflation. German train drivers brought local rail services across the country to a standstill to press their demand for higher wages. The railway has refused to meet the union’s demands for a wage increase of as much as 31 percent. Albert makes some key macro points. The first is what he calls labor leverage. Albert's example is the current Hollywood writers strike. The writers have leverage because the production companies are bound by contract to hire union writers. Legally, they cannot just go hire new screenwriters from Bollywood for a hundred bucks a movie/TV show. There is also a fraternal system in Hollywood which does not lend itself to outsourcing of creative material. In other words, the writers have leverage. Eventually the media companies run out of new content and their advertisers go away. Corporate income drops, the stockholders scream, the head honchos' heads roll, and new management cuts a deal to restore profitability. If labor has a stranglehold on corporate revenue/profits, they can actually win. That's leverage. If not, they lose. The opposite of leverage is wage arbitrage. This is the term for moving factories and call centers to places with lower labor costs. Thus the factory moves from the U.S. to China, from Dusseldorf to Bulgaria, from Italy to Sri Lanka, and so on--in an endless chain which eventually leads--and has already led in some cases--to factories in "high cost" China being moved to "low cost" Vietnam. How many jobs in the U.S. are vulnerable to wage arbitrage? A lot. Manufacturing jobs in the U.S. total about 14 million now, while China has about 110 million factory jobs. In one sense, this makes China far more vulnerable to wage arbitrage than the U.S. All the U.S. manufacturing jobs which could be shifted to cut costs have already been moved; those 14 million manufacturing jobs still here are here for a reason. Meanwhile, we have friends whose family business manufactures specialty steel products. They have already moved their factory from China to Vietnam, and they are not alone. There are plenty of stories about wages rising in China to the point that wage abritrage is now a factor in China's growth as well. Albert makes repeated mention of labor union strikes in Europe--especially those in transport. Municipal labor unions have plenty of leverage over public transport and services, as we all know. Subway/train and garbage strikes are usually quickly resolved in the unions' favor. But as Albert points out, what happens on a macro level when cities and public agencies go bankrupt? As readers know, I have been forecasting just such a tidal wave of public bankruptcies for several years. The problem for public unions is they don't control or even influence the revenue side of public agencies' ledgers. The basic model for the past 25 years of union contracts has been this: when unions strike, the easiest way to lower the pain (public outcry at the disruptions, etc.) for agency managers has been to cave in and agree to higher wages/benefits. Then the agency raises ticket prices or taxes. The public has grumbled but never revolted. That will change once people find they can't afford food by the third week of the month. Their sympathy for well-paid transit and public union workers will vanish, and they may, for the first time, refuse to pay the higher ticket prices or higher property taxes. If politicians start losing elections for trying to raise taxes, then agency heads will also roll. Bottom line: it's the politicians who control the revenue stream, and the public has the ultimate leverage on them. If we wander back down memory lane, we can recall that President Reagan was faced by what appeared to be a union with tremendous leverage: the air traffic controllers. Now the air traffic control system is in dire need of a complete (and costly) overhaul, and I am not knowledgeable enough to say whether the union being busted was a good thing for the nation or not. My point is simply this: public officials can stand up to public unions when pushed beyond a certain point--and when the public supports the officials. Europe and the U.S. have a different mix of public and private labor. About 40% of the French workforce is public or semi-public employees. That's a high enough percentage that they can practically control elections and vote in tax increases as a policy of self-interest. But at some point, the private corporations and businesses who are paying the high taxes may rebel, and either close down (in the case of cafes and small businesses) or leave for more hospitable climes--wage and tax arbitrage, another issue Albert raised so preciently. If public revenue (taxes) cannot keep pace with public union demands, then something will have to give. I would anticipate a situation in which transit/rail workers go on strike, demanding higher wages. This is a strategy which has worked exceedingly well for 60 years (since 1945). But alas, they will be told by bankrupt public authorities there simply is no more money. The unions will have a difficult time grasping this strangulation of the public revenue stream. But can't you raise taxes on someone, somewhere? No; all the productive businesses have left, exploiting global wage and tax arbitrage. Many observers in California have noted the flow of jobs from California to other states--that is, wage and tax arbitrage within the U.S. Businesses and jobs leave California for lower-cost states. At an even finer-grained level, businesses leave high-cost San Francisco for lower cost suburbs. Like water flowing to the lowest level, businesses flow to the areas with the lowest wages and taxes. In many cases, they really have no choice; their competitors are already reaping the benefits of lower wages and taxes, and they can cut prices and increase profits as a result. So the question for each of us becomes: how much leverage do we really have? Thank you, Jennifer K. ($10), for your most-welcome support of this humble site. I am greatly honored by your contribution and readership. All contributors are listed below in acknowledgement of my gratitude.